Combo offers are one of the most eye-catching and demanding things that would tempt a customer into buying it. One such combo product that has flooded the pet care market is Bravecto and Milbemax. Bravecto takes care of fleas and ticks while Milbemax assists in destroying gastrointestinal worms. Both products go hand and hand and complement each other really well in fighting off major common diseases in dogs. Before we delve deeper into both products, it is necessary to draw light on the benefits of combo products. It helps in boosting sales due to the tempting prices or multiple products at once. It aids in enhancing customer loyalty. Customers tend to feel special when combo products are offered. Combo offers also helps in luring customers to the lesser-known products that are available but hardly get much attention. Combo packs assist customers in bigger savings which in turn leads to more sales. Bravecto – What is it? Bravecto chewables are an effective way to orally eliminate and control fleas and ticks. As soon as these chews are consumed, the action begins to bear fruit within 2 hours. 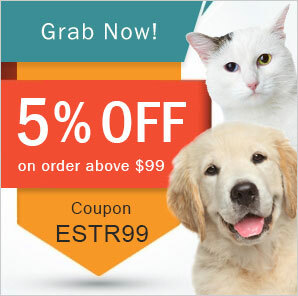 It effectively kills almost all the adult fleas within 8 hours and completely demolishes ticks within 12 hours. Moreover, Bravecto is also very helpful in treating and controlling American Dog tick, Brown Dog tick (12 weeks, approx) and Lone Star tick (8 weeks). Milbemax – What is it? While Bravecto takes care of fleas and ticks, Milbemax effectively eradicates all major types of intestinal worms such as hookworms, roundworms, tapeworms, and whipworms as well. When this product is used on a monthly basis, it helps to control heartworm disease from affecting your pal. Milbemax is also highly palatable and also very safe to use on pregnant and lactating canines. The Bravecto and Milbemax combo pack costs a shade below $100 and can last for months. Hence, if you have multiple dogs suffering from fleas, ticks, and worms, it is advisable to purchase the Bravecto and Milbemax combo pack rather than opting for separate products. Purchasing them differently will not only eat up more of your energy but you will end up spending more and lose out on the savings opportunity. Thus, make sure to pounce on combos as and when necessary.